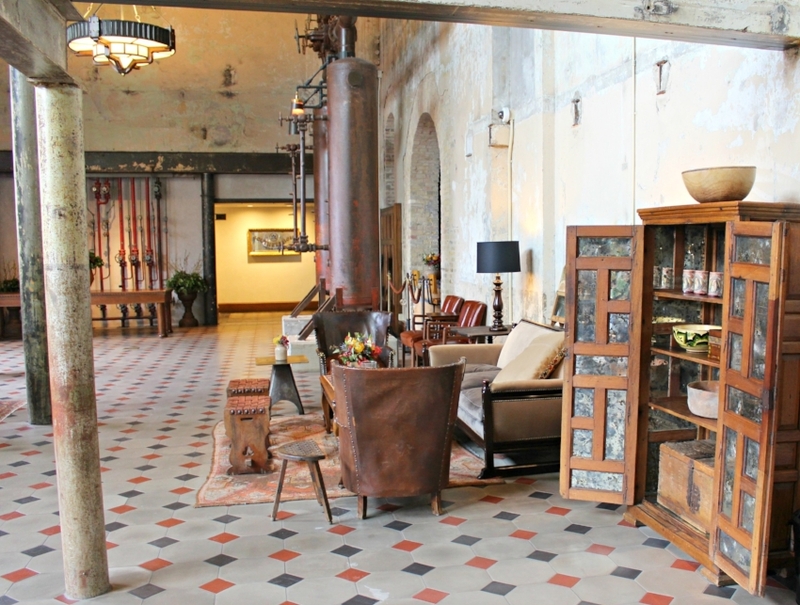 Normally I save hotel reviews for hotels that I personally stay at but I made an exception for Hotel Emma in San Antonio. Located in San Antonio’s Pearl District, Hotel Emma feels like it was built in another time and it certainly was with a history dating back to 1894. After dining at Supper, my Noni and I meandered through the hotel to pass a little time and boy am I glad that we did. Little did I know there was so much to discover in this time machine of a building from small shops to enormous libraries. 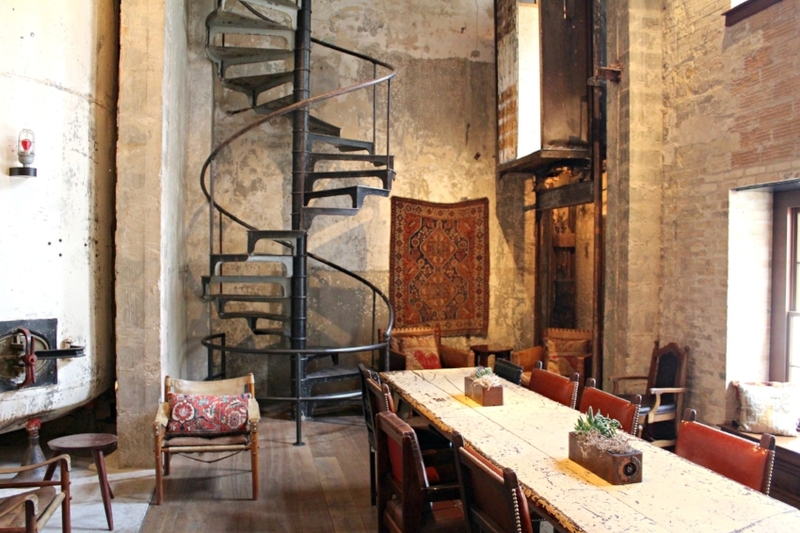 If I find myself back in San Antonio anytime soon, I will most likely be staying at Hotel Emma. Here’s a tidbit of information I found surprising while doing some research - Hotel Emma has ties to Chicago! Who knew?! Originally Pearl’s Brewhouse, the hotel was built in 1894 by Chicago architect August Martizen who specialized in breweries creating more than 80 in his career. By 1916, Pearl Brewery was the largest brewery in Texas and the only one in San Antonio to survive prohibition. The brewery’s CEO, Emma Koehler, who the hotel is named after, came up with creative alternate services for the brewery to put out to keep her entire staff employed including dry cleaning, auto repair, and the production of near beer, ice cream and soda. These services kept the brewery in business until prohibition ended allowing beer to become their main product once again. The brewery closed in 2001 before becoming part of a renovation program which turned into today’s Pearl District. With the establishment of the Pearl District, Hotel Emma has become one of the many community pillars. With 146 rooms and several suites, the hotel features a design that mixes historical elements with a modern touch in a comfortable and unconventional way. What’s most impressive is the 3,700-volume library. Any book worm’s dream, this collection is one-of-a-kind donated from a San Antonio icon. As if that wasn’t enough, the library allows guests to check out books using a vintage card system. Talk about nostalgia gone wild. Inside Hotel Emma, you’ll find Curio, a boutique gift shop with interesting finds from near and far; Larder Fine Groceries and Prepared Food; Supper, a restaurant where American cuisine meets European bistro; and Sternewirth, a tavern and club room for cocktails and conversation. Walking through Hotel Emma, you’re pulled into a different time. Everything is distressed, everything has character. For those who are always looking for the perfect Instagram photo, Hotel Emma is a treasure chest. From the mismatched furniture that works seamlessly to the bookshelves and the friendly staff, it’s an exceptional experience that is unique and not found anywhere else. Even if you’re not staying at Hotel Emma while in San Antonio, make a point to stop by and take a walk through their main areas. If you’re looking for a spot to grab a bite, Supper is amazing. We went there for brunch and believe me when I say I’ve never been more impressed by a restaurant. I’ll have a full review coming soon. I’ll stop there and let the photos speak for themselves.